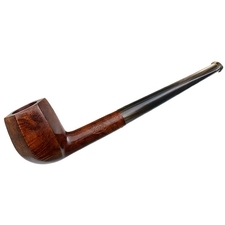 With their early 20th century-style stemwork, these Ropps are a rare find indeed. 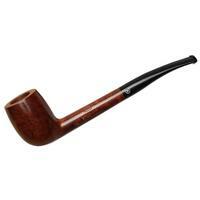 Sykes discovered a batch of them hidden in a separate building of the old Chapuis-Comoy factory, where they sat collecting dust for decades. 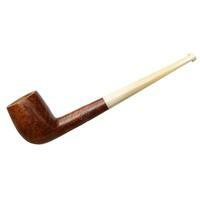 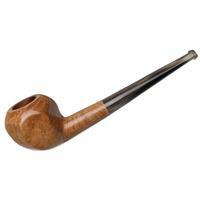 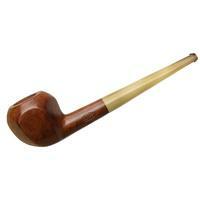 Almost a Liverpool, this long-shanked Billiard sports classic French slenderness and trim design. Lightweight and topped with a genuine horn stem, it's quite a deal on such a vintage number. 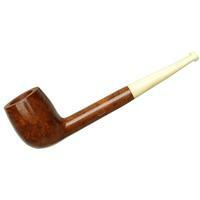 Bowl Height: 1.65 in./41.88 mm. Chamber Depth: 1.46 in./37.18 mm. 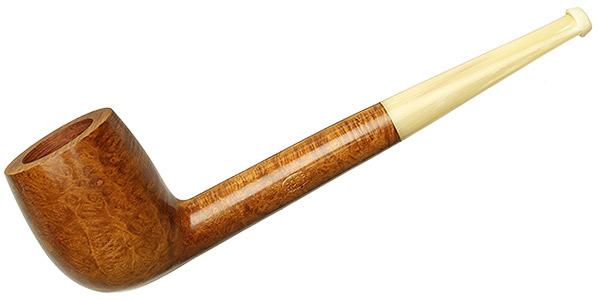 Chamber Diameter: 0.72 in./18.26 mm.